New York City & surrounding music creators, the Beat Club Podcast is coming to your city! 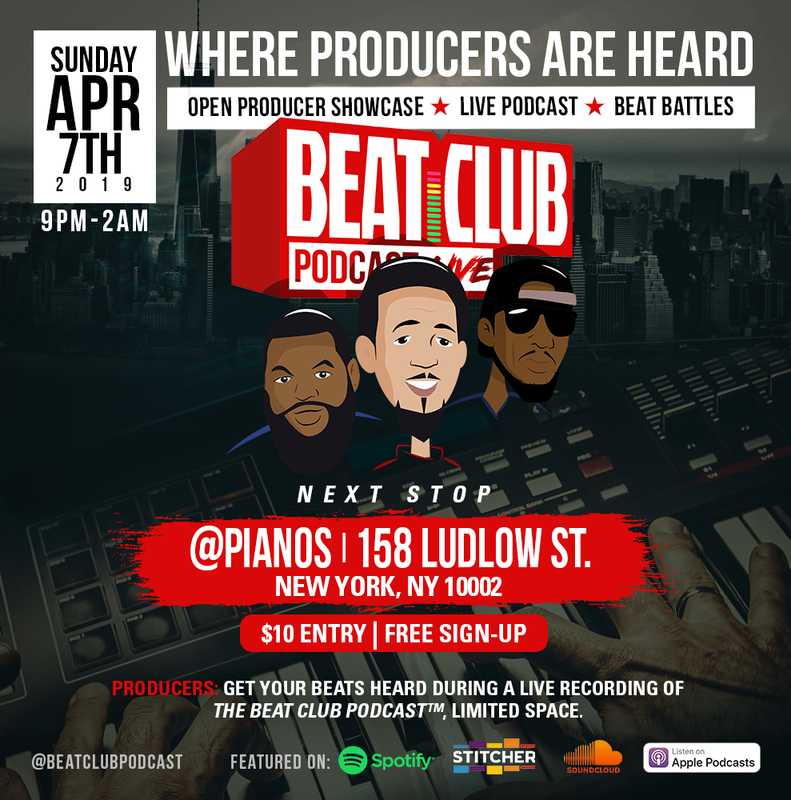 The creators of The Stew Beat Showcase are headed to New York with their new platform for music creators, producers, and beat makers to get heard; The Beat Club Podcast. Join us for a live recording of the show as we invite producers from the area to sign up and play beats for a live audience. 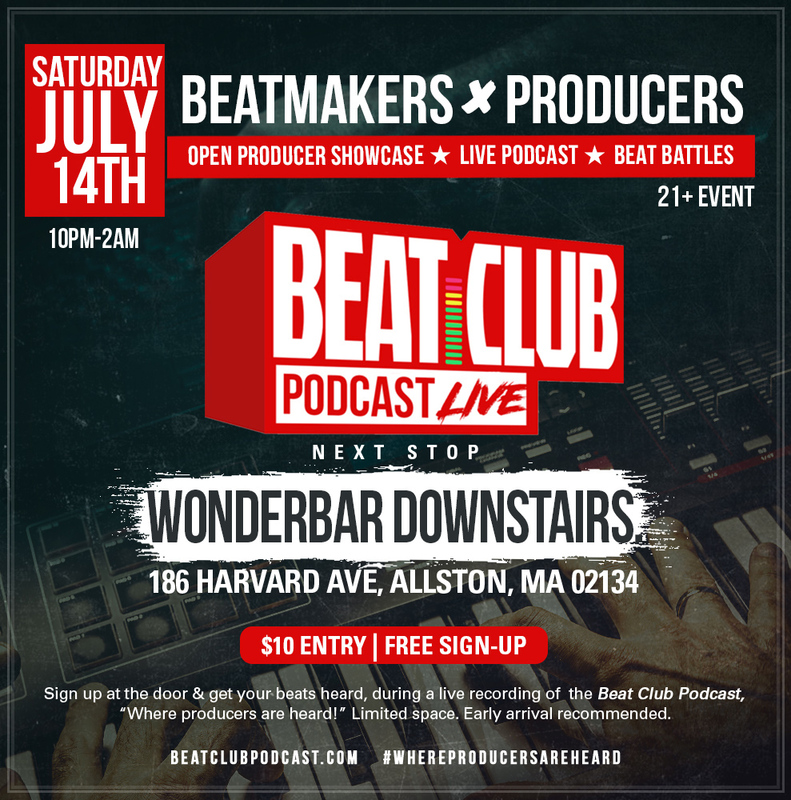 Come enjoy our unpredictable hosts as they interview special guests, judge beats and host a variety of exhibition beat battles all under one roof. 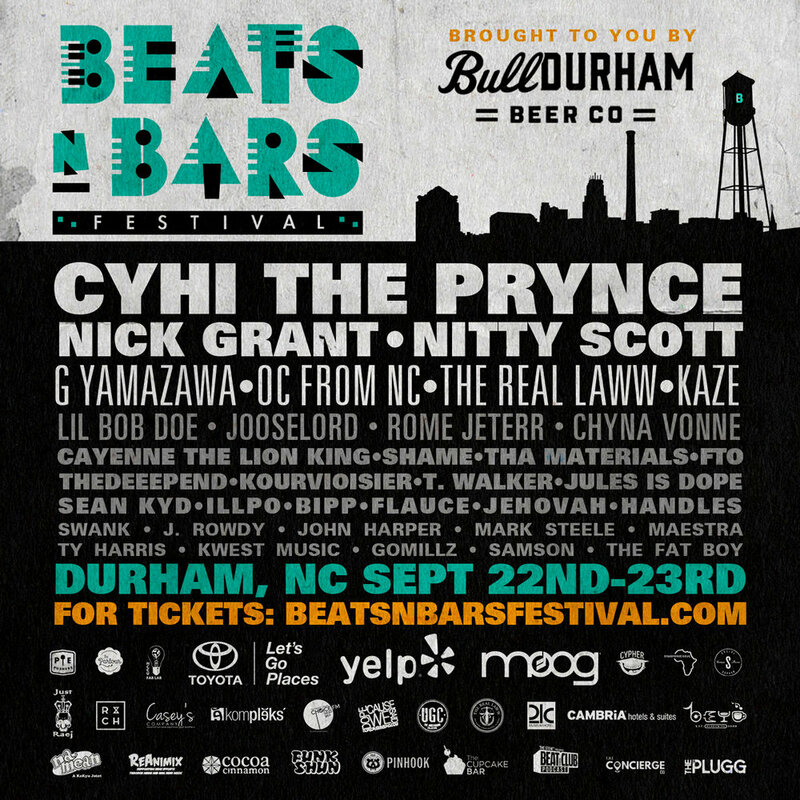 Producers: Sign up for FREE at the door &land you can get your beats heard! We'll be doing our #KeepItOrCutIt segment of the show live. Producers will have 3-5 minutes to showcase their sounds. No elaborate setups needed. Come with your beats on an aux cord ready device. 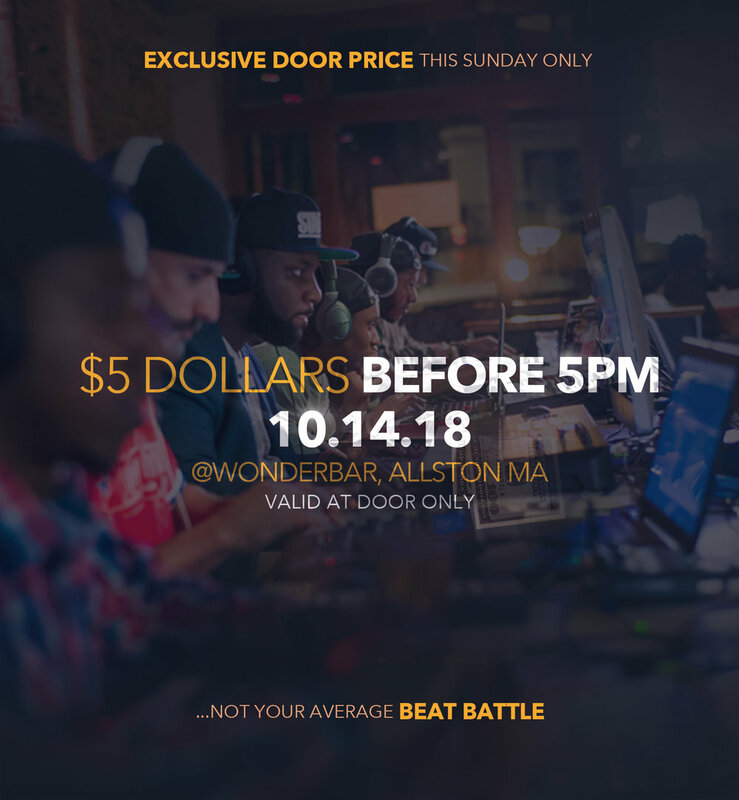 The Stew: Beat Showcase Grand Finale of Season 5 hosted by STAE TRU® and Authentic Lifestyle, returns Sunday, December 2nd, 2018 at Wonder Bar. Come and witness as we put our 8 top scoring producers, in an innovative beat-battle like no other! 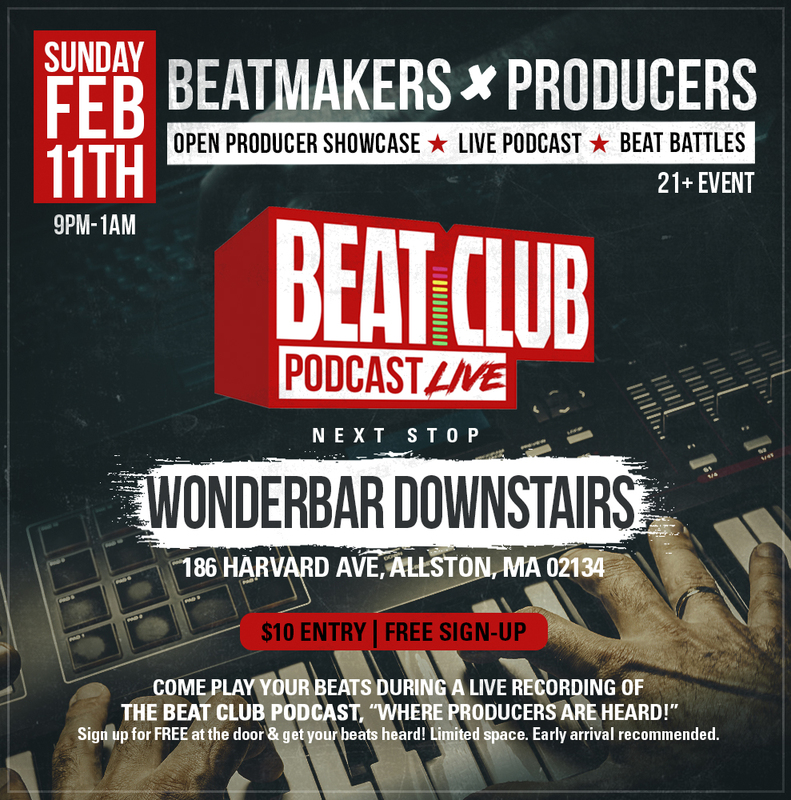 Producers go head to head and compose beats live while presented with a variety of challenges, ALL for the chance to win $1,000 CASH PRIZE, our championship title and more! So who will take home the title... Duggy Flex, J. Demers, 16 Bit Spit, Boys Cry, Ellio, Self Serv, Seoul or Eddie Random or will it be our wildcard from the #OpenKitchen? Doors open at 6pm. This is 21+ event. Music by: Turntablist Bobby "BanGers" Renteria & plus special performances. Guest Judges: Dart Adams (Resident), Toni Morgan (Beat Academy) & Shawn J. Period™! Live art painting by Dash. To register for episode 4 of The Stew please click here. The Beat Club Podcast crew will be doing a special segment during the 2018 Beats and Barbecue Festival this year. Stay tuned for more details! "The Stew: Beat Showcase: Grand Finale: S4" #SGFS4 hosted by STAE TRU® and Authentic Lifestyle, returns Sunday, December 3rd, 2017 at Wonder Bar. Come, witness as we put our 8 top scoring producers, in an innovative beat-battle like no other! 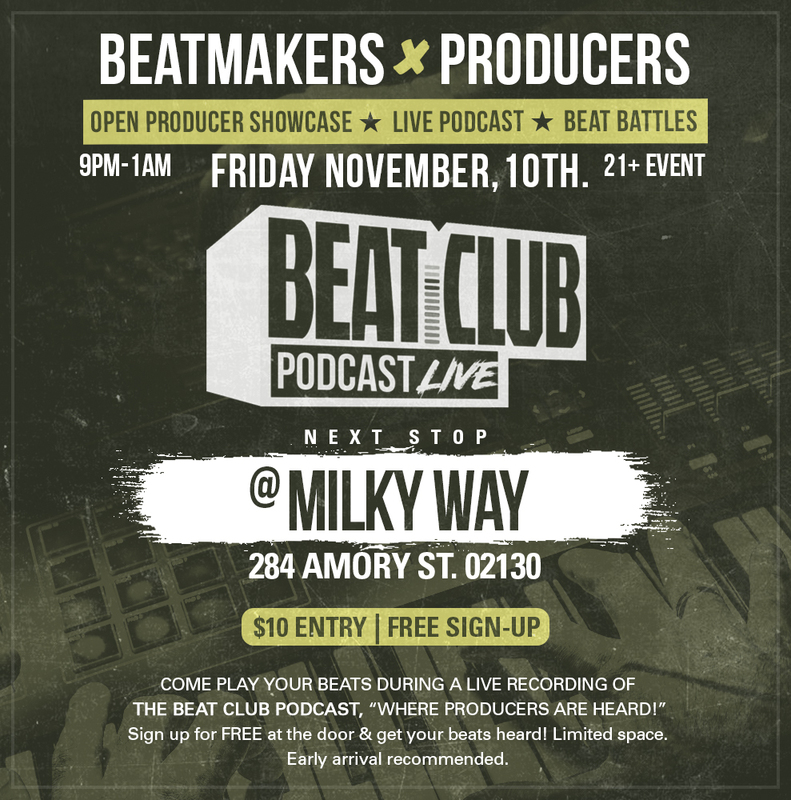 Producers go head to head and compose beats live while presented with a variety of challenges, ALL for the chance to win $1,000 CASH PRIZE, our championship title and more! Music by: turntablist DJ Bobby Bangers, plus special performances. Attention! Producers and beat-makers, this is your last chance to compete in The Stew Beat Showcase $1,000 Grand Finale on December 3rd. There are TWO wildcard slots left. The only way to get a wildcard slot is by participating in one of the two open kitchen segments during the Beat Club Podcast Live events in November. You must pre-register to be apart of the open kitchen. The link to pre-register is here: http://www.paypal.me/thestewshowcase/40. Please leave a note (under the payment) with your producer name. LISTEN TO PAST EPISODES HERE: WWW.BEATCLUBPODCAST.COM. EVERY SUNDAY 1PM - 3PM EST WE ARE LIVE ON AIR. LISTEN BY GOING TOWWW.BEATCLUBPODCAST.COM. The Stew Beat Showcase returns with Season 4 Episode 4 of its #NotYourAverageBeatBattle! The Stew Beat Showcase returns with Season 4 Episode 3 of its #NotYourAverageBeatBattle! Soundtrack by Bobby Bangers & a LIVE performance set by DJ/Producer/Artist, Black Milk! Listen to our radio show, the Beat Club Podcast, live on Sunday from 1-3PM EST for an exclusive deal on tickets. Listen HERE: www.beatclubpodcast.com. Beatmakers go to http://www.thestewshowcase.com/registrationrules to register. The Stew Beat Showcase returns with Season 4 episode 1 of it's #NotYourAverageBeatBattle! Chris Borelli Music will be premiering his latest visual for his new song "Accolades" (Prod. by Chris Borelli) this Sunday at The Stew. SoundBridge will be demoing their awesome product live for all attendees to get involved in! Take a look here: https://youtu.be/yBvqWnkGCSU. Beat Club Podcast Launch Party! Calling all Beatmakers & Producers. Sign up for FREE at the door & get your beats heard! We'll be doing our #KeepItOrCutIt segment of the show. One lucky beatmaker/producer will win a battle slot at The Stew Beat Showcase's Season 4 Episode 1 on Sunday April 9th!